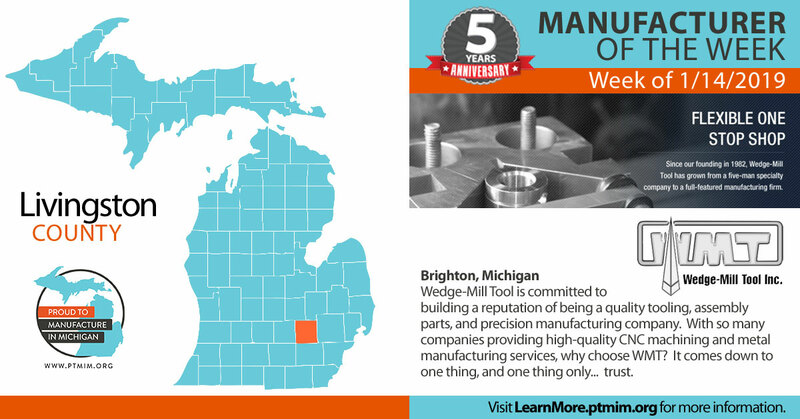 Whether you need a single, complex item quickly or thousands of parts over the course of a year, Wedge-Mill Tool is a partner you can trust. With our large inventory of material and experienced workforce and flexible scheduling, we can offer faster turnaround times. We coordinate closely with our customers, setting up money-saving blanket orders, so you have just the parts you need, at the time you need them. When it comes to quality, WMT delivers. We inspect our work at every stage, from raw material to post production, ensuring only the finest parts make it to the customer. This attention to quality helps keep our costs low: Our company was rated in the top one-third of our industry in controlling scrap by the Michigan Manufacturing Technology Center. We put customer service on the same level as quality, so you can be assured your order gets the attention it deserves. 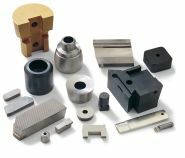 With so many companies providing high-quality CNC machining and metal manufacturing services, why choose WMT? It comes down to trust. We are proud of the fact that so many of our customers have trusted us for 10, 15 and 20 years or more. That kind of loyalty is rare in today’s economy, but it is a ringing endorsement both of what we do and how we do it. When you work with us, you can expect the highest quality available. You can expect the kind of attention to your needs that is hard to find: we are versatile and responsive. If you need a part turned around quickly, we’ll put the strength of our entire organization behind getting it done. We have a long record of innovation in quality, processes and production. Our people have hundreds of combined years of experience machining metals and plastics. They are not afraid of new challenges. We’ve been supplying carbide tipped, high-speed steel, helical and spirate blades to manufacturing companies for over 35 years. That’s something that not many companies today can say. Through this time, our capabilities have grown with the needs of our customers. Today, we have the people and technology to machine complex, tight-tolerance, sophisticated products from aluminum, plastic and a variety of steels and non-ferrous metals. We have 3rd, 4th and 5th axis capabilities on our milling machines to handle customer requirements. To support the just-in-time needs of our customer, we inventory many common and unique materials on site. We can handle any quantity: from a single rapid prototype to thousands of parts.